Welcome to James. 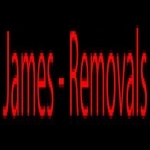 We are an experienced Removals based in St. Helens. Our friendly staff are available and ready to answer any questions you may have around your Removals needs. Is your business listed for Removals in Warrington?